Hair / Glam Metal (Heavy Metal) band from Mechanicsburg, Pennsylvania. 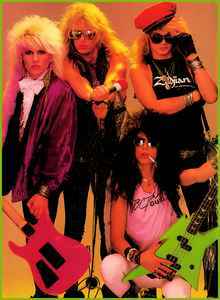 Poison is well known success in the mid 1980s to early 1990s. and ''Every Rose Has Its Thorn'', which both appeared on the album Poison (3) - Open Up And Say ...Ahh!.